Lineup Time: 5:00 to 6:00 p.m. Please stop at the designated check-in area prior to proceeding to your assigned lineup position. Enter check-in on County Road B-2 from Hamline Avenue – Just N. of Hwy. 36. ABSOLUTELY NO ALCOHOL allowed in the parade, along the parade route, in the parade lineup area, or in the parade pickup areas. NOTHING MAY BE THROWN FROM UNITS– ITEMS MAY BE HANDED OUT AT THE CURB. Because of the number of units and CTV-15 television coverage, we ask that you please keep the pace even and moving with a maximum distance of 25 feet between units. If parade marshals ask you to move forward, please accommodate their request as we do need to complete the parade by dark. The Reviewing Stand is for judging of the marching bands only. Please do not stop there to perform. The other covered band shell is for commentators from CTV-15. Please move to the right if you hear a siren. Sirens are used ONLY BY EMERGENCY VEHICLES. Each unit should have a fire extinguisher on board. In the event of severe weather and you are advised to seek shelter, please go into the Roseville Area High School, or Roseville City Hall – whichever is closest. There is limited parking in the parade lineup area. Car pooling is encouraged. There are no food vendors near the parade lineup area. Food is available for purchase at the end of the parade. There are restrooms available near the parade lineup area. Limited shuttle service is available for those with special needs, from the end of the parade route back to the start area at County Road B-2 and Hamline. 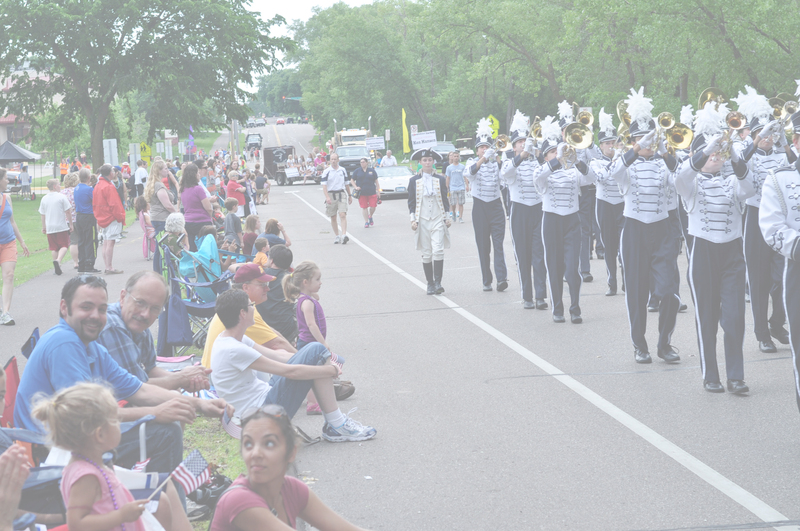 You are invited to attend the Awards Ceremony for the On Street Marching Band competition at the Guidant John Rose MN OVAL at the conclusion of the parade. If you have any questions, please contact Roseville Parks and Recreation at 651-792-7006.